So last week I was invited to play piano in Mr Speaker’s house in the houses of parliament. This was a fantastic opportunity and a great privilege to play in such a special place. 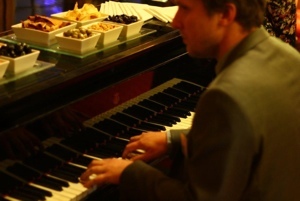 I played some lovely jazz on a beautiful old Steinway – fantastic! The event was to raise money for the stairway to heaven memorial trust, commemorating the 70th anniversary of the Bethnal green tube disaster.